A couple of weeks ago I got the first beets of the season in a my produce box and I knew right away that I had to put them to use making one of the most rich and elegant green salads I know of. 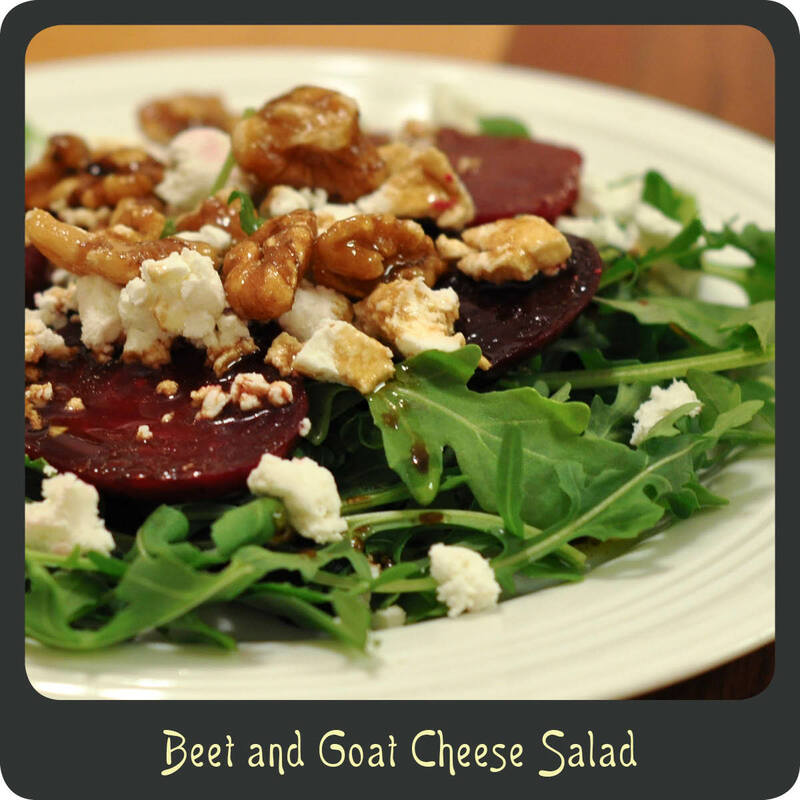 This beet and goat cheese salad is so simple but is full of flavor. Each ingredient really stands out independently but they all are fabulous complements to one another. This salad is earthy, creamy, tart, and sweet, truly a salad from salad heaven, if there is such a place. In a small bowl whisk together the olive oil, balsamic vinegar, garlic, and sugar. Refrigerate until ready to use. Place the arugula in a salad bowl or on individual salad plates. Top the arugula with the roasted beets. Drizzle the salad with the dressing and top with goat cheese and walnuts. Made this salad and everyone who ate it LOVED it! It was part of a huge meal, with lots of leftovers, but not of this salad. Very simple and fool-proof, and looked so beautiful. Loved peeling the beets before roasting, but they needed a lot longer in the oven. Can’t wait to make it again!